Traveling has always been my tempting weakness.This time to break out of the monotonous grinding lifestyle,I decided to explored the tranquility, beauty, calm, and the purest form of nature in,“The Paradise of Assam and Meghalaya”.Our first stop was Guwahati:The door to seven sisters Paradise.North East owing to its rich natural beauty and the fact that it hasn’t yet become a commercial tourist-choked destination. Guwahati, except Sikkim, is the door to all the North Eastern States of Tripura, Mizoram, Arunachal Pradesh, Manipur, Meghalaya and Nagaland. We landed by an Indigo Flight at Guwahati airport at around 3.30 PM.At Air port I booked ,from pre hired taxi counter for our guest house.The counter boy charged Rs 300/=for destination.To our surprise the distance was hardly 3.8 Km and we reached there within 15 minutes.We were cheated by “pre hired taxi counter boy”. I must mention that the people of North East India have been demanding for two time zones for India, from a long time. We, from the rest of India don’t understand this much. But soon after landing at Guwahati, I realized how just and true their demand is. It was dark by 5 pm and pitch dark a little bit later. Whenever one plans a trip to North East, one must keep in mind that the sun sets here around two hours before the rest of the country.It is said that North East is wet ,due to an early Sun set in comparison to rest of India. 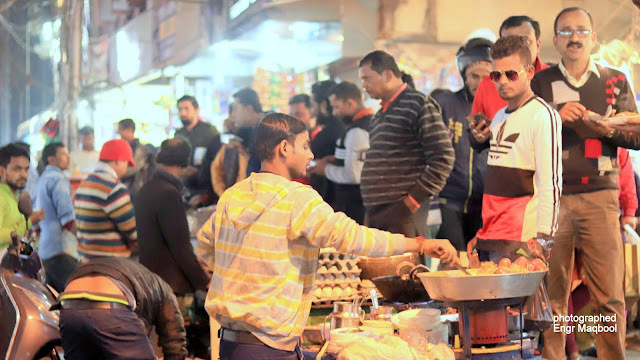 After getting energized with tea and some snacks, we were ready to explore City life of Guwahati by night.Taxi driver stopped in Paltan bazar. While roaming on streets of Guwahati, I realized that it is not a small town, but fairly big and growing. Real estate business seemed to be booming like any other city in India. 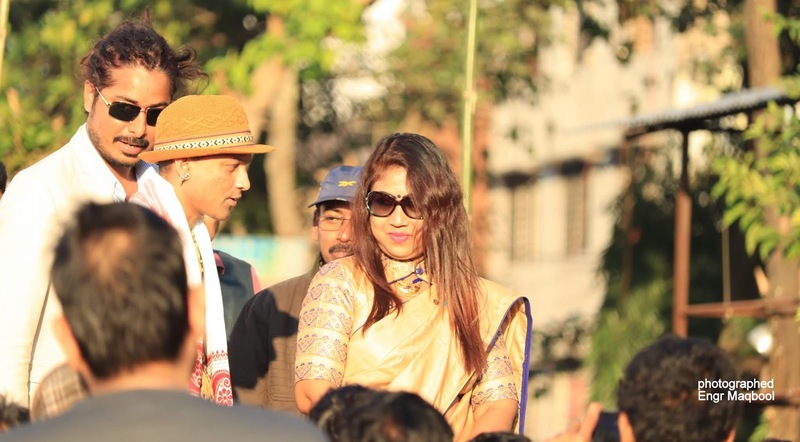 The city lies in the plains of Assam sandwiched between the hills of Meghalaya on one side and the mighty Brahmaputra on the other side, leaving it without much room to grow. One of the busiest market places of Guwahati, Paltan Bazaar is one place you cannot escape as a traveler. 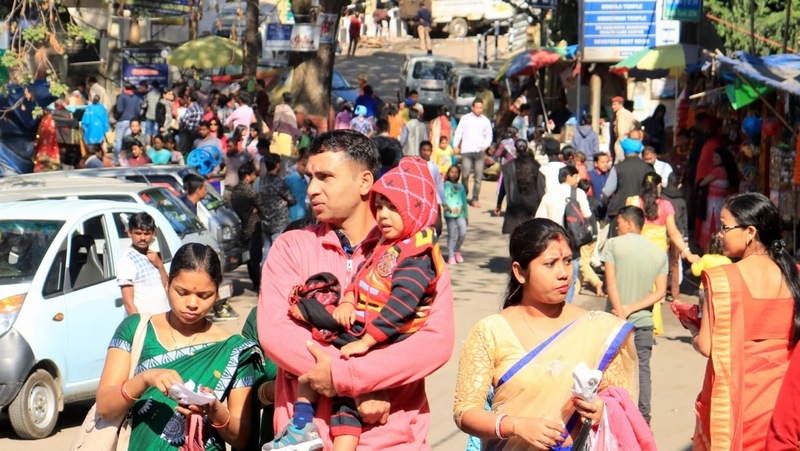 Home to Guwahati railway station and the bus terminal.Paltan Bazaar is also known for its row of hotels guest houses, and big mallas.This place always remais crowded. Due to the railway station and the bus terminal, Paltan Bazar is one place in Guwahati that never sleeps. North eastern tribal garments and articles made of clay and wood in the roadside establishments. 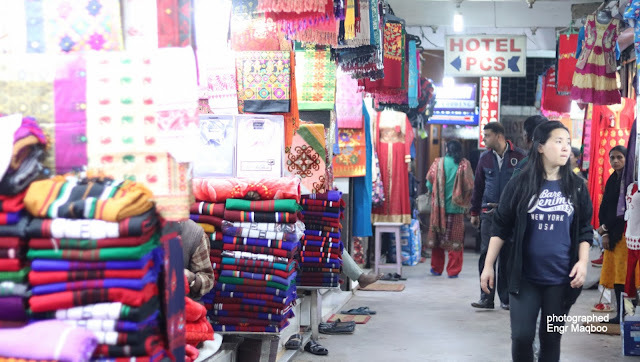 Paltan Bazar is home to many restaurants and dhabas serving Indian and Chinese food items and you will never feel the hunger pangs after all the walking and haggling. With strong influences from its neighbouring states and countries, Assam has developed some unique foods that you rarely find anywhere else in India.You’ll find Tibetan-, Burmese- and even Bangladeshi-inspired dishes at street food stalls all over Assam, and even some very interesting indigenous recipes. 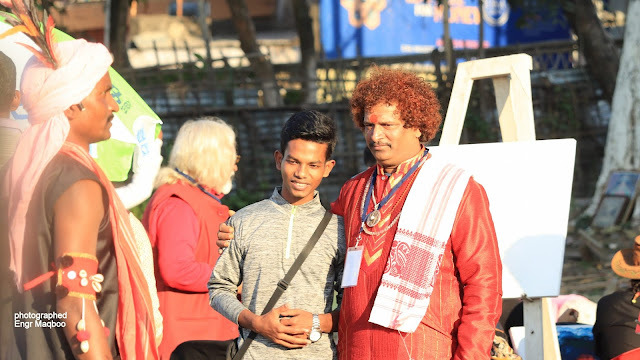 We were ready for whole day roaming in Guwahati.Guwahati is dotted with a number of ancient temples.The most famous among these is the Kamakhya Temple. 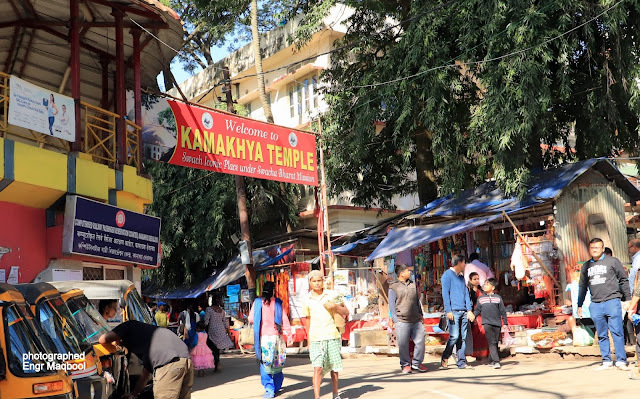 Kamakhya is the renowned Goddess of Desire whose famous shrine is in the heart of Nilachal Hill.Kamakhya temple is considered most sacred and oldest of the 51 Shakti Peethas on earth.It is the centrepiece of widely practiced, powerful Tantrik Shaktism cult in India. The temple sits atop the Nilachal Hill about 800 ft above sea level. 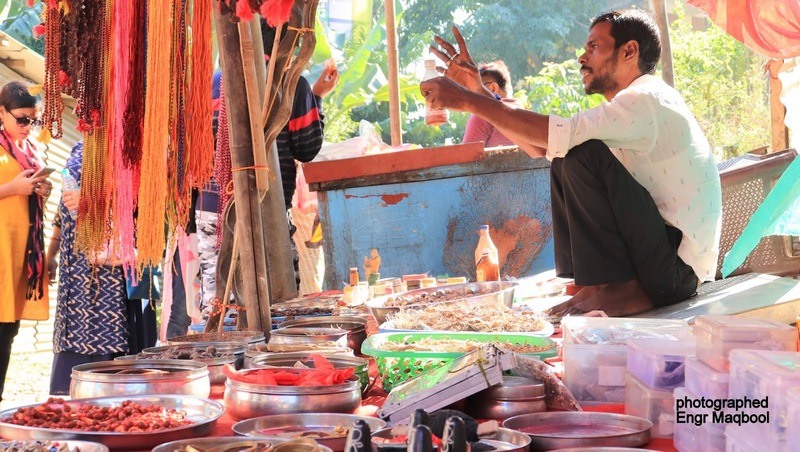 The approach road to Kamakhya Temple was filled with colorful products that commercialise religion. Whether they result in devotion and peace, I do not know, but they did result in great photo subjects for my camera. The Nilachal hill believed to be a 'Khasi' sacrificial site earlier, now has a group of ancient temples on the top; the largely eminent of them is the Kamakhya temple. 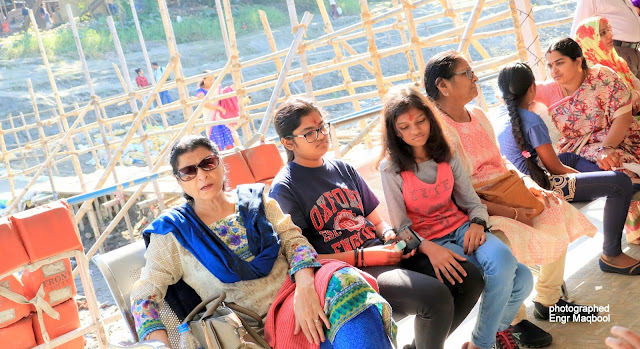 The temple of Goddess Shakti or Kamakhya is the oldest and most revered centre for Shakti worship leading to the spread of the Tantrik Hinduism sect. And so the population around the temple, included pigeons and goats and buffaloes amidst bridal groups, colorful priests, tantrics–making it a visual treat and friendly to camera. Next ride was for Umananda Island (Peacock Island), the smallest river island in the midst of river Brahmaputra flowing through the city of Guwahati.The British named the island Peacock Island for its structure. 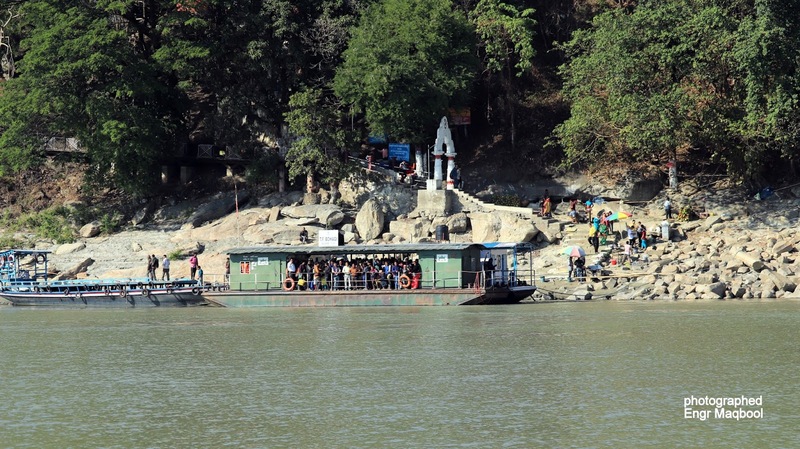 Umananda Temple is a late 17th century Shiva Temple located at Peacock Island in middle of river Brahmaputra. Hired three wheeler dropped us at Kachari Ghats behind the high court and the planetarium. 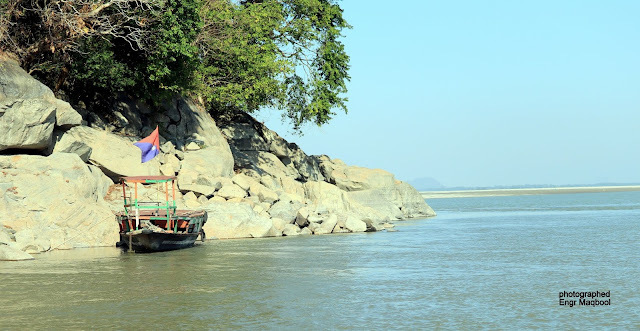 We find our way to the ferry dock for a ride to Peacock Island.I involved myself in mesmerizing charm of Brahmaputra river scenery.After a 15 minutes ride we touched the rocks of island.I ascended over rocky stepped top of hill. Brahmaputra River was flowing below the hill, High court building was visible from here and breathtaking scenery. According to mythology, Shiva created the island for his wife Parvati's happiness and pleasure. Shiva is said to have resided here in the form of Bhayananda. According to a myth, Shiva burnt Kamadeva with his third eye on Umananda when he interrupted Shiva's deep meditation. According to the Kalika Purana, it was believed that Goddess Urvashi, who brought nectar for the pleasure of Kamakhya, resided here. 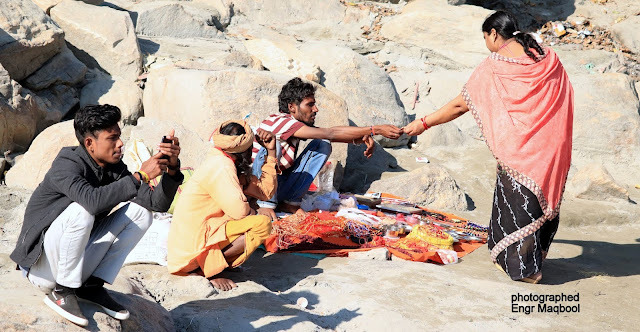 Therefore, the island on which this temple is constructed is also known as Urvashi Island. 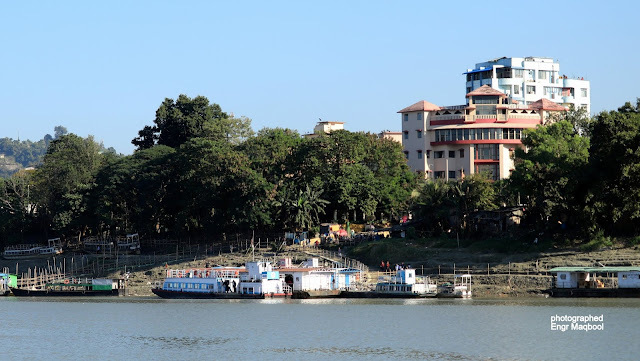 Th One of the most sought after sightseeing activity in Guwahati is to enjoy a walk along River Brahamputra.It seems impossible to visit this city and yet not lose yourself for a few minutes by the majestic Brahmaputra River. Typically, a lot of people start their day at the banks of the river while sipping chai or energising with a fresh workout. A 35-feet-high statue of Ahom General Lachit Borphukan is erected in the middle of the Brahmaputra near Machkhowa in Guwahati. The soldiers and the cannons are made of fiberglass. The total size of the pedestal on which the statues rest is 12 by 12 by 1.5 meters and it stands on a well 8.5 meters wide. The main statue stands four feet above the pedestal while the soldiers are placed below Lachit.The pedestal is placed five meters above the High Flood Level (HFL) of the river and 50 meters below water. Lachit Borphukan (1622-1672) was the Commander-In-Chief in the famous battle of Saraighat. He refused to let the Mughals rule the North-East. He saved Ahom kingdom from Mughals. A greatest warrior in the history of North East India. 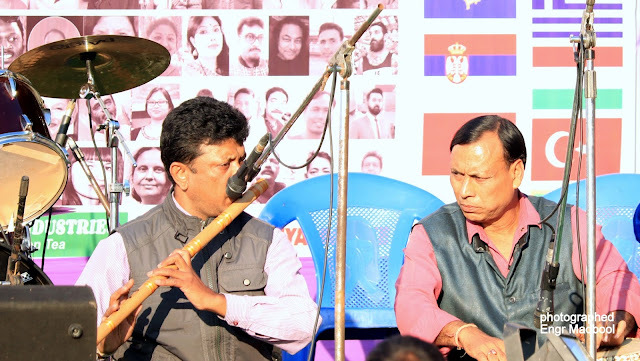 The Mughal army had been assigned from Dhaka and had set up a camp on the north bank of the Brahmaputra at Hajo, now in Kamrup district of lower Assam. 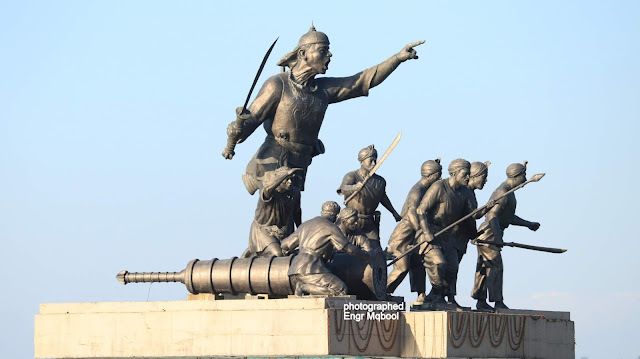 Much weaker, the Ahom Army defeated the Mughal Army by brilliant uses of the terrain, clever diplomatic negotiations to buy time, guerrilla tactics, psychological warfare, military intelligence and by exploiting the sole weakness of the Mughal forces—its navy. 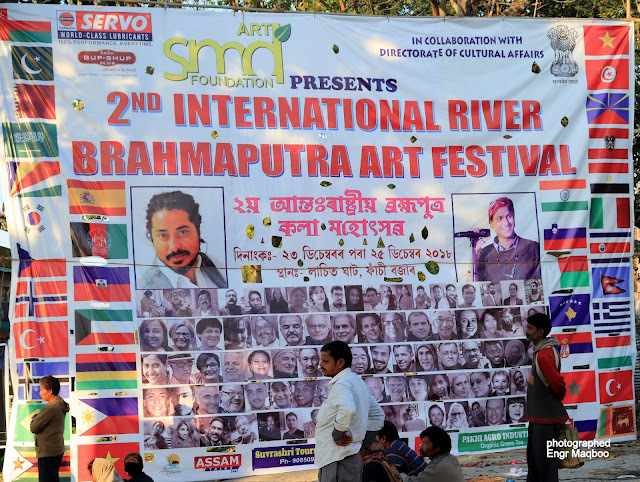 At some distance from Alfresco Park on bank of river Brahmaputra,where I was walking, heard musical band with a large gathering.As per curiosity,I walked there.I was amused that a grand occasion was there: 2nd River Brahmaputra Art Festival’ to showcase artists from 25 countries was going on.I loaded my camera to capture that moment.It was showcase illustrious artists from at least 25 countries. The 39 year-old young Indian artist who displayed his art works in various national and international exhibitions said, “It took years to expose my creative soul to the world audience. Besides attending exhibition in different festivals, River Brahmaputra Art Festival is a sort of dream comes true with a unique feeling and emotions. 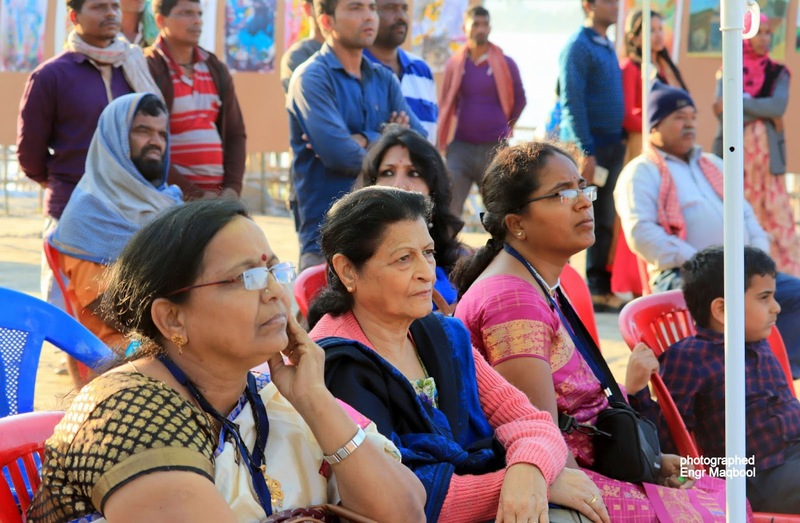 Deka studied fine art in Khairagarh, Chhattisgarh. 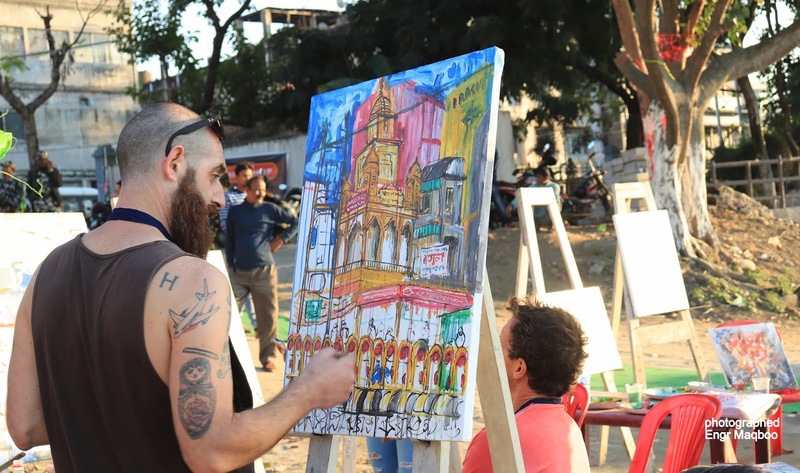 After finishing his course he shifted to Mumbai in search of a better platform. 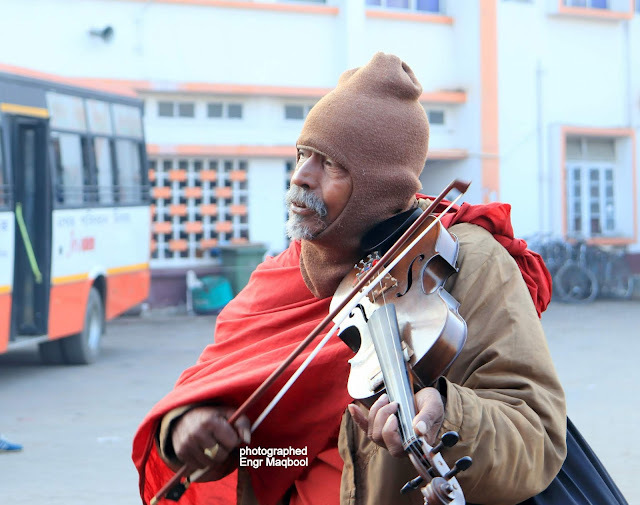 Poverty instills fear, stress and sometimes depression; strained childhood pushed him to make extra effort in life. 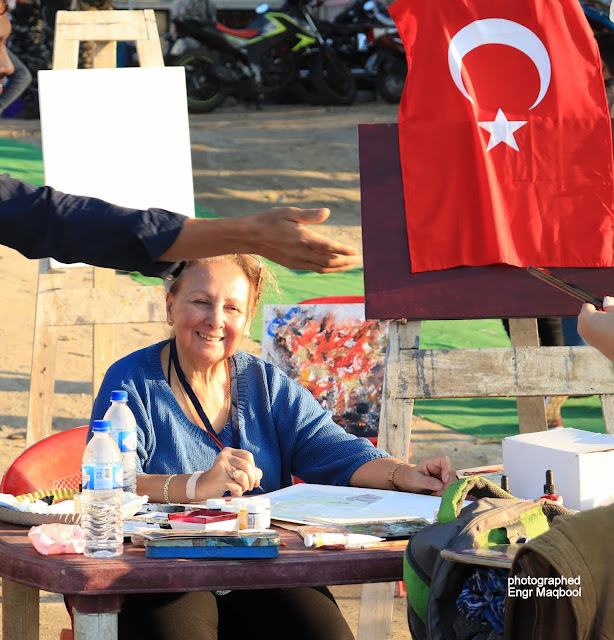 Deka has been flourished with experiences participating exhibitions held in London, New York city, Moscow, Bhutan, Nepal, Maldives, Sri Lanka, Thailand and Egypt. By Sun Set, this traveling to Guwahati:”The Door to Seven Sisters Paradise” was near to end.I was short in time, only on day for Guwahati as next destination was Shillong.It is not possible to explore the charm and beauty of Guwahati in one day. For travellers who love nature and adventure, Guwahati is an ideal place and has much places to visit, some of these are: Deepor Beel Wildlife Sanctuary. Saraighat Bridge. Assam State Zoo, Pobitora Wildlife Sanctuary, Tea gardens, Alfresco Grand cruise in mighty Brahmaputra River. 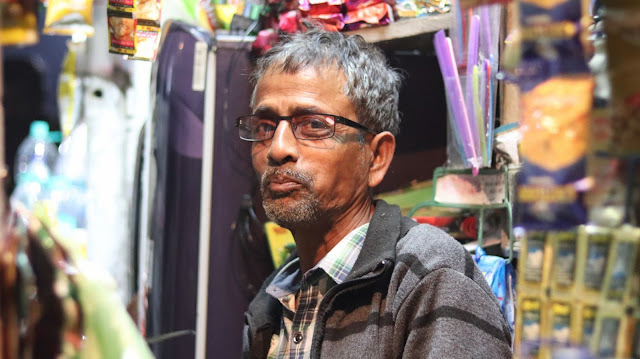 Travelogue of Guwahati: The Door to Seven Sisters Paradise, written, photographed and posted by Engr Maqbool Akram with help of Wikipedia and materials available on net with thanks.